Whites were the first people to stop slavery in modern times, whereas slavery continues in Africa to this day. Presumably, the author of this bit of copy-and-paste truthiness couched this statement with “in modern times,” because he or she knew that Chinese governments had banned slavery at least twice in ancient times. Even at that, China did not permanently free its slaves until the 1720s in the Yongzheng emancipation, and de facto slavery continued for decades. We could cite the 1777 constitution of the so-called Republic of Vermont, but the slavery ban contained therein had rather spotty enforcement. Moreover, Vermont was a “reluctant republic,” and sought absorption into the Union as soon as it could do so. The United States itself, of course, did not eradicate slavery nationally until the passage of the 13th Amendment to the Constitution in 1865. Before that, several nations in the Western Hemisphere had already freed their slaves. 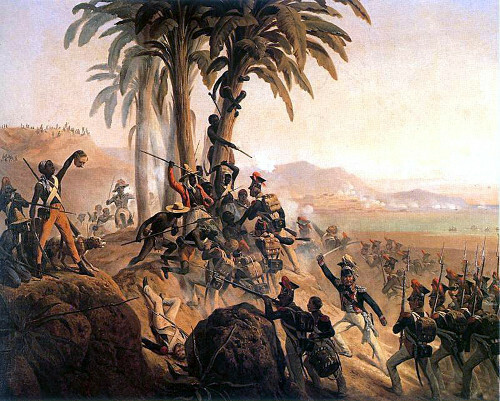 Even Great Britain, which had taken halting steps toward full emancipation in the late 18th century, did not effectively end all slavery in the empire until 1837. We could possibly point to Norway and Denmark as the first two countries to halt participation in the transatlantic slave trade (effective 1803); however, Denmark still allowed slavery in its colonies until 1848. We might also note France, whose revolutionary government briefly outlawed slavery, only to see its return under Napoleon. Who are the true Muslims in these scenarios? At least two thousand worshippers, proclaiming, “There is no God but God; the religion of Mohammed came with the sword,” attended the rally and then descended from the Noble Sanctuary [Temple Mount] to the wall, setting fire to Jewish prayer books and other devotional items. . . . .
they will ask for the Mosque of Aqsa; if we give them the Mosque of Aqsa they will demand the Dome of the Rock; if we give them the Dome of the Rock they will demand the whole of Palestine, and having gained the whole of Palestine they will proceed to turn us Arabs out of our country. I ask you now to take the oath of God the Great to swear by your right hand that you will not hesitate to act when called upon to do so, and that you will, if need be, fight for the Faith of the Holy Places to death. The packed congregants raised their hands in unison and swore this pledge. “Then go,” the sheikh instructed them, “pounce upon your enemies and kill that you in doing so may obtain Paradise.” . . . . Shouting, “The country is our country and the Jews are our dogs,” and, “The religion of Mohammed came with the sword,” the Arabs descended on the quarter with sticks, clubs, swords, and a handful of rifles. The Arab police again mutinied to join the onslaught, at the end of which twenty-nine Jews lay dead and forty-three injured. . . .